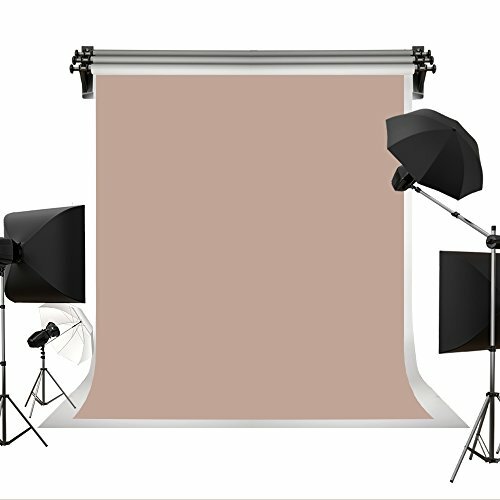 Our package contains only backdrops, and No stands or clips. It is folded in the box. 1.Compared with other materials, microfiber is soft, and has no wrinkles. 2.We print it in a special way, so the pattern is realistic, and the stereo sense is strong. 3.It can be washed and ironed if the backdrop is dirty. 4.It can be used many times, and you do not need to buy again and again. 5.It is seamless for any sizes. 1.If you use the backdrop stand, clip, or photographic equipment,the effect will be better. 2.Recommend use tape stick to the wall if there are no backdrop stands and clips. 3.Please keep distance to take pictures, and the effect will be better. The size of 5x7ft (1.5m x 2.2m) is suitable for children, babies, NO adults. Due to the difference among monitors, the color of the backdrop may have deviations. 1.Due to facilitate transport and package, if have wrinkles,please wash or iron it. 2.Computer screens vary in color calibration, Maybe differences between real and pictures. Be free Frequently. And you will achieve it within one week. If you want to achieve it quicklier, please contact us. 1.Please tell us the size you want. 2.Please send us the pattern you want. Size: 5x7ft (1.5m x 2.2m), items are sent by folding, and easy to carry (The backdrop can be customized). Material: Microfiber. Compared with other materials, Microfiber is soft,easy to keep clean. Feature: Non-reflective, shallow wrinkles, seamless,easy to fold and carry. Be Suitable for: Children, Newborn, Baby, Wedding, Holiday party, Birthday Party, Family decoration.